How can I properly end this workflow? 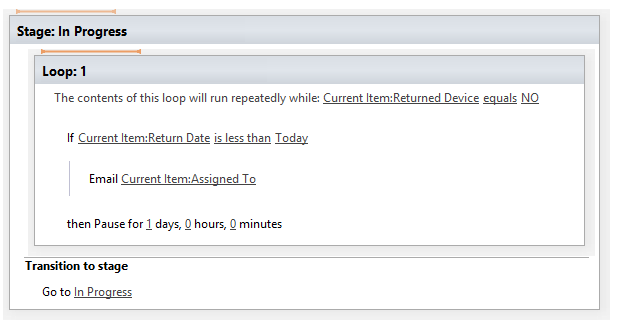 I want to start a workflow whenever the Returned Device column is changed to NO. Then, if Returned Device equals NO and the Returned Date is overdue (less than Today), send an email to the user who was issued a device Assigned To. Now, (I want to end the workflow) When Returned Device is set to YES, END workflow. 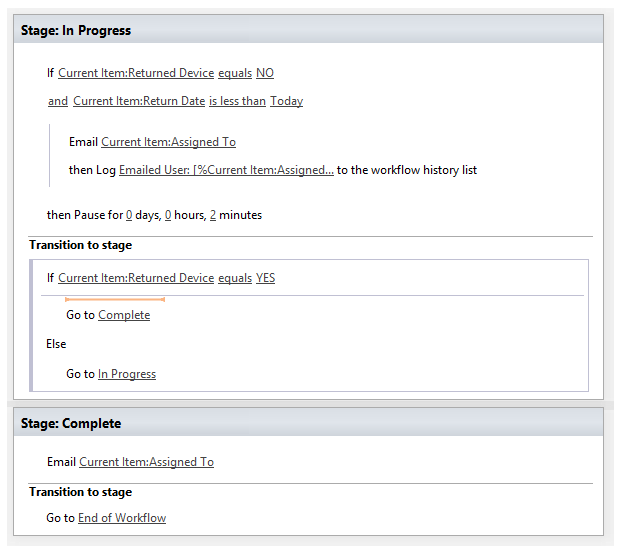 Where do I Transition to End of Workflow? Do I even need to? 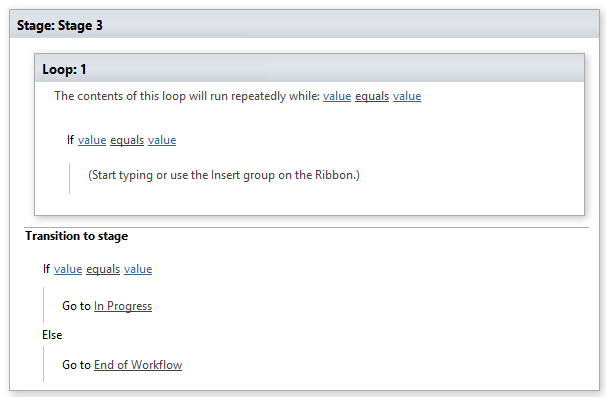 I want to avoid workflow instances running in the background if I don't need to. Not the answer you're looking for? Browse other questions tagged sharepoint-designer sharepoint-server or ask your own question. How can I change an in-progress workflow created using SharePoint Designer 2007?